Which refrigerants are used in industrial refrigeration plants? There is no absolute answer to the question this question. No refrigerant fits the requirements 100 % for all cooling plants. An ideal refrigerant would need to have it all in terms of material compatibility, chemical stability, performance, non-toxicity, non-flammability, boiling point among other criterion. ARANER can analyze your plant on its own merit and suggest a suitable refrigerant. As industrial refrigeration engineers, our designs, manufactures and installations are suitable for the most popular refrigerants. Some of the possible refrigerants for an industrial refrigeration plant are discussed below. This refrigerant has perfect thermal stability, minimal toxicity, non-corrosiveness and non-combustibility. Although it is more common in car air conditioners, this refrigerant may also be used in commercial refrigerating systems, specially on larger chillers. For example, this was the refrigerant used during the Aramco project in Saudi Arabia. A recent discovery in various parts of the world that the chemical causes global warming has hampered its usage. Ammonia, a member of the so-called halogen-free chemicals, it’s perhaps the most common refrigerant in industrial cooling plants and among the oldest ones. Its heat absorption per volume is unrivalled. This alone allows its application in smaller components- no need for huge cooling plants. Other attractive features include high critical point, high coefficient of performance and low molecular weight. Like other refrigerants, ammonia has its undesirable side. For example, it has harmful effects on the skin, eyes and throat. CO2 scores highly because of its minimal environmental impact. The refrigerant is also non-flammable and non-toxic. However, despite these pleasant attributes, the refrigerant needs careful handling. First, the chemical is heavier meaning that in case of leakage, it would displace oxygen from the room. Combining that with the fact that it is odorless forms a very dangerous scenario. What makes it such a challenge to use CO2 in an industrial refrigeration plant? It mainly revolves around efficiency, size and cost of system. A pressure of about 4,000 psi presents a huge cost and technical challenge for heat exchangers and compressors. Do not hesitate to contact ARANER for reliable handling of your CO2 refrigeration system. Water has been used as a refrigerant for many decades and it never ceases to impress. Apart from being readily available, this substance has impeccable chemical and thermodynamic properties. It cannot be considered as a refrigerant itself, but it is chilled in cooling plants and introduced into the circuit to lower temperatures. It presents several technical challenges though. These include high-pressure ratios and outlet temperatures at the compressor. Note also that water can only be used as a refrigerant if the ambient temperature is higher than 100° C. Fortunately, ARANER offers engineering solutions that make water a viable refrigerant for modern industrial refrigeration plants. These compounds are slowly being phased out because of their high GWP. Some places have already banned the use of this refrigerant in new equipment. If you are looking to recover, maintain or replace your HCFC refrigeration equipment, ARANER qualified personnel can help. Specifically, they will help you handle the dangerous refrigerant with expert guidance and suggest better options for you. Some examples of specific refrigerants under this group are R2, R22, R123 and R124. Others include R133 and R151. HCs are usually available as either R600a (isobutene) or R290 (propane). You will find these chemicals in domestic refrigeration systems, commercial refrigeration systems and air conditioning systems. The flammability of these substances requires special safety installations, but some plants are willing to take the extra precaution. Propane has zero ODP making it suitable for industrial cooling. As a natural refrigerant, the chemical does not make any effect on global warming either. 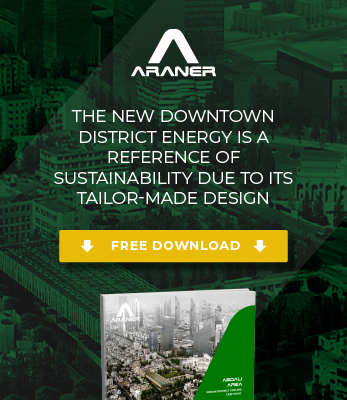 ARANER advises its clients to base their choice of refrigerant on four factors namely safety, environmental impact, energy efficiency and cost effectiveness. The energy efficiency of an industrial refrigeration plant cannot be overlooked because it directly influences profitability. We are very keen on a refrigerant’s ability to enhance energy efficiency in a facility. Owing to fears of environmental degradation, the future looks bright for natural refrigerants such as carbon dioxide, ammonia and hydrocarbons. However, the fact remains that each refrigerant has its pros and cons. It pays to have ARANER assess your situation and suggest the most appropriate solution. What is the cost of installing a refrigerant? How much does it affect the overall maintenance and operation cost? These are just some of the questions ARANER considers when determining a cost effective refrigerant. Of course, choosing a refrigerant involves consultations where all views are taken into account. Contact the team today for the best refrigerant solutions. Very informative article,Thanks for sharing. This had some great information on the different types of refrigerants. I think you’re right that the best way to find out which one to use is to get your plant analyzed. I figure that getting an expert’s option is probably the best way to find out what will be the most beneficial for your plant. nice explain with images & your blog is very nice. I like it. Thanks sharing this blog.